One kid’s trash is a mom’s treasure…. 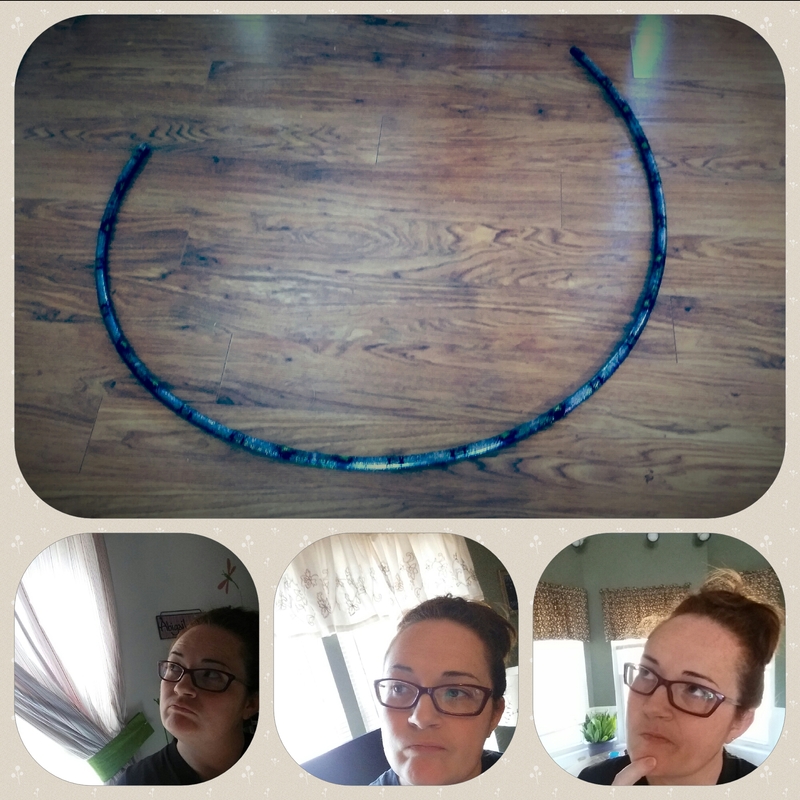 What good is a busted hula hoop??? Stick around … I can show ya tonight!! READER BE WARNED….You are about to enter into the hidden caverns of our dinky little kitchen. MY CABINETS ARE AWFUL LOOKING and very crowded. So as I have mentioned before, I have to make the most of all the space I can. And I am here to show you, again (I know….I’m a mom, I am entitled to nag a bit), good posture matters. Hopefully between my rig up here and my utensil canister from my previous post, Better Posture, this could help y’all out too. While I am attempting to get dinner going, I decided to share about me scrubbing up some potatoes to get ’em ready for the oven. I know, I know, what an exciting life I lead. But hey I am all about sharing whatever can help make your tasks easier, hehe. Last year for Christmas, my mom gave my sisters and me a pair of those exfoliating gloves as gifts. Yay, I love being able to make myself feeling clean and fresh. But HOLY CRAP!! These suckers hurt!! Now don’t get me wrong, I am not knocking my mom, cause I am all about bargins too but these suckers do NOT feel that great on your skin. Talk about some intense skin removal…think lemon zester. BUT all is not lost….these will work wonders as a veggie scrub brush! !